Today is My birthday, So, Happy Birthday to me ! I have taken a resolution on this day, don’t waste your money on Cakes and gifts. Please bring some food and give it to At least 10 poor people. This is not expensive i think and everyone can afford that, who is reading this Article. This is my resolution, read this Article and share your experience as well. 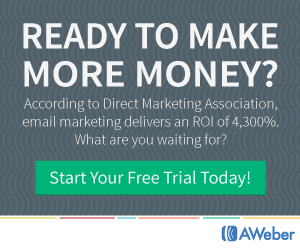 Most of people want to learn WordPress, because this is an easy way to create website/blog. Even i create my website www.SeoRamanArora .com in WordPress. There are few things which you have to follow to learn about WordPress. Go through with this Article to learn about WordPress. When you are learning WordPress, then you can start your Practice on Wamp or Xampp Server. 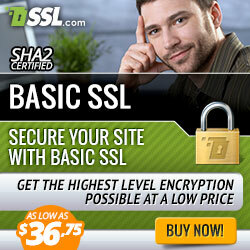 To download Xampp Server, Click here>>Xammp Server. To Run WordPress for Blog/Website, you need Apache Server and MySQL. So, Xampp Server will provide you these both things. Often using Xampp Sever, you will face some problem such as php.ini, port 80 is blocked and api-ms-win-crt-runtime-l1-1.0.dll error. This error “api-ms-win-crt-runtime-l1-1.0.dll” is occurred because, unfortunatatly, these Microsoft Redistributable files have been deleted from your System, you need to recover or reinstall them again. 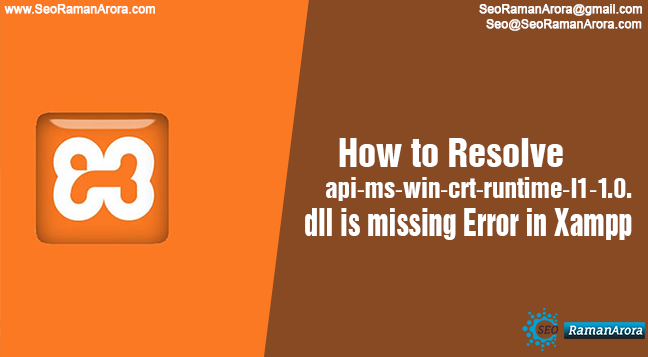 To resolve api-ms-win-crt-runtime-l1-1.0.dll error, I am sharing you this article to resolve you this issue. There are two cases to resolve this problem; you have to follow one of them. Click on check updates, it will take much time to update and recover deleted files. In this, you have to follow few things and carefully follow these steps. Go to Start >> Control Panel >> Programs and features >> Microsoft Visual C++ Redistributable files. 2. 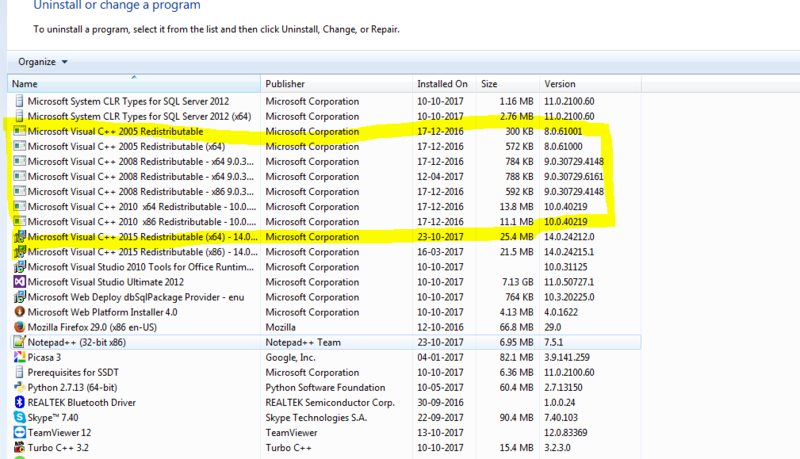 Uninstall all these files with name of Microsoft Visual C++ Redistributable files. Be Careful, don’t uninstall other files, which are required by your system to run. So, have patience to do this task, and uninstall these files. 4. 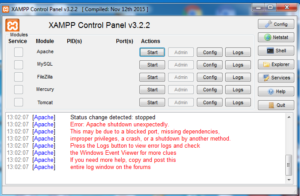 Uninstall Xampp Server and Restart the System. 5. After Starting Windows Again, download Microsoft Visual C++ Redistributable files, often it asks to restart your system again after installation of these files. 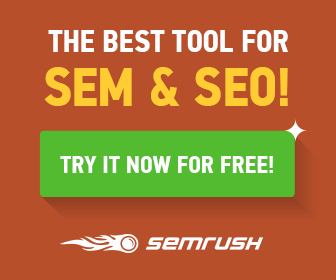 If, you are SEO analyst, Then you must know about on-page and off-page SEO tricks to Expand ypur Knowledge, read this Article. 7. 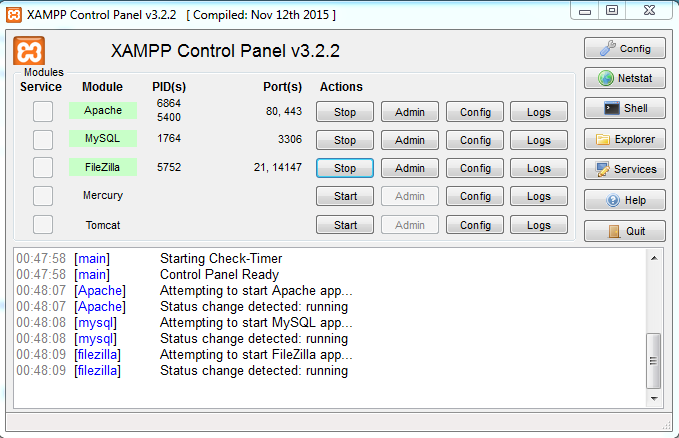 Install Xampp Server again, then you Xampp Server will run smoothly. 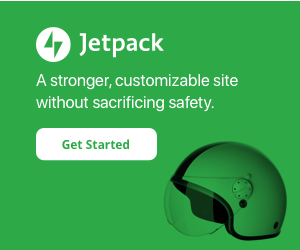 Now you can install WordPress and use it. To use WordPress in Xampp Server, Keep with my blog, I will upload soon. If, you want to join us, Subscribe us our youtube Channel, Like,share and Comment.